As photographers who document corporate events and meetings throughout Los Angeles, we love having the opportunity to create new and interesting images for our clients. 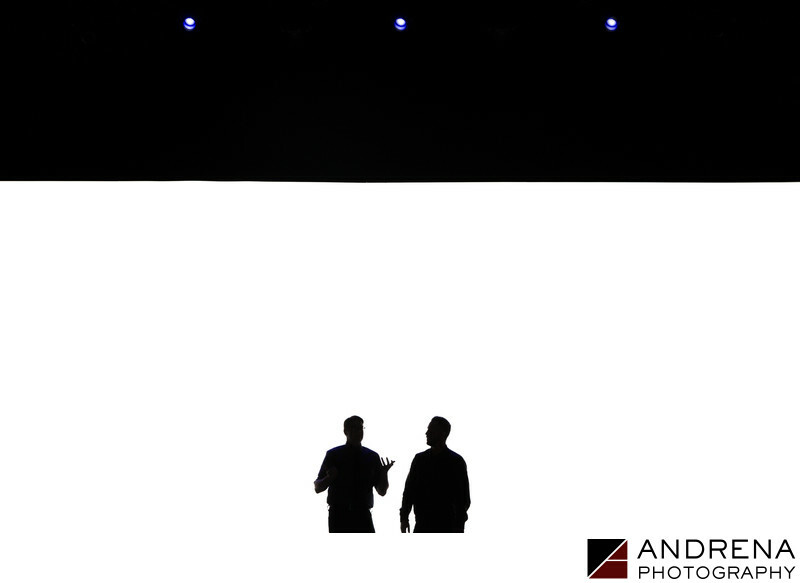 For this image, the speakers were presenting in front of a huge digital projection screen during a new product launch. The launch event had more than 5,000 people in attendance, so the screen graphics were very important to the launch. At one point during the presentation, the screen went white, so I quickly used the opportunity create a creative silhouette of the speakers. I thought the black area above the stark white screen made the composition more interesting and graphic, so I included this in the final image. The resulting image provides an artistic take on an otherwise commonplace speaker photo.